Included in the 2014-2015 budget was $200 million in additional funding for schools. The budget also included language that required “enabling” legislation to spell out how the new funds would be distributed. That enabling legislation was the “Fiscal Code”, which the governor vetoed. In other words, Governor Wolf is breaking the law in spending the money. Adding insult to injury, the Governor is spending the money according to a formula he essentially made up on his own without input from the legislature. The Fiscal Code included changes recommended by a bipartisan education funding reform commission. Governor Wolf ignored those recommendations in determining how he was going to distribute the funds illegally. “Philadelphia’s share of the $200 million in new education funding is $76.8 million – a full 38 percent – under the restoration formula, wheras [sic] under the bi-partisan-backed formula, it would have received $42.4 million. The changes in those three school districts’ funding levels under Wolf’s illegal plan, consume over $53 million in funding designated for other schools. The Governor’s decision to redirect a quarter of the new money to three schools districts, without legislative authorization, is one more example of Wolf’s “my way or the highway” approach to governing. It is worth noting that according to the news article mentioned about, the legislature is looking into taking legal actions against the Governor to stop his latest executive overreach. Fiscal Code Bill Sneaks In Spending — State Rep. Russ Diamond (R-102) is one of the good guys. He explains on his Facebook page why he voted against the final version of HB 1327 which made changes to the state’s fiscal code. On Tuesday (Dec. 29), Governor Wolf used his line-item veto on the budget lawmakers sent him right before Christmas. He could have and should have done the same thing back in June. However, he was more interested in holding state funding hostage to apply maximum leverage through the negotiation process. In his address on the line item veto, Wolf continued to repeat the lie that the budget as passed would result in a cut to education funding. First and foremost, Pennsylvania already has the eleventh highest spending per pupil in the country. The argument that taxpayer need to continue to put up more money without seeing any improved results is absurd. However, that is Wolf’s demand; he is more than willing to play fast and loose with the facts and math to make that happen. During his press conference announcing his decision to exercise the line-item veto, Governor Wolf continued to repeat the lie that the budget on his desk would cut education funding. In fact, as noted by the Commonwealth Foundation the only “cut” one might be able to identify would be the difference in spending between what the Governor wants and what the legislature sent him. When you compare the 2015-2016 budget to the 2014-2015 budget, this year’s proposed education budget outspends last year’s budget when you look at the totals. This morning, (Dec. 29) Gov. 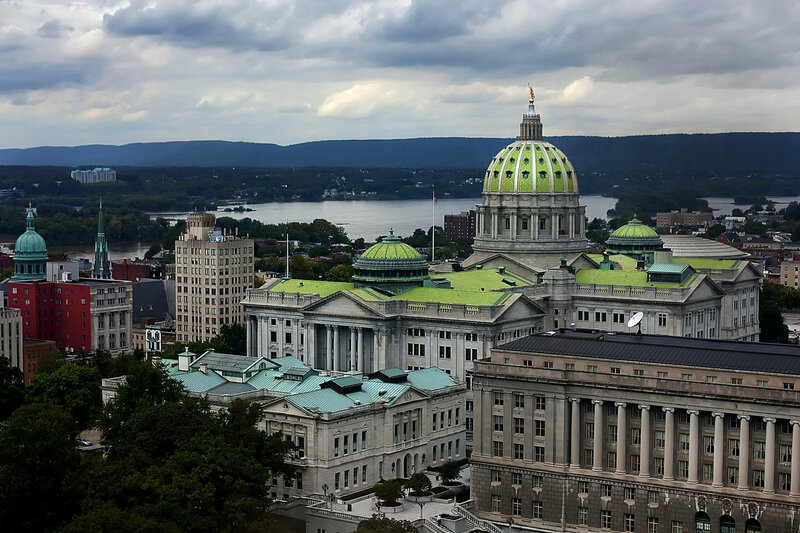 Tom Wolf signed the state budget on his desk, using his line-item veto (and item-reduction veto) power to cut the spending by more than $6 billion, targeting certain areas. Of course, such overtures are unlikely to improve his relationship with legislative leaders. Reducing the “basic education” line item by $3.1 billion. Ostensibly, this provides six months worth of funding and is intended to get lawmakers back to the table. The real difference between the current budget and what Wolf wants is about $250 million in K-12 education funding.As we pointed out this morning, Wolf’s claim that the budget would “cut” education funding by $95 million is a lie. The budget provides a $400 million increase in public school funding. The only item being reduced is for school construction—this isn’t being “cut” but will be funded with state bonds. In fact, that proposal is part of the framework budget too, as you can see from Gov. Wolf’s own spreadsheet. The only cut to education is the one Wolf made today. Reducing Medicaid by $2 billion and Corrections by $900 million. Wolf reduced the line items “Medical Assistance – Capitation” (Medicaid) and “State Correctional Institutions”—also to provide six months of funding.But these reductions don’t make much sense. Is the commonwealth not going to make Medicaid payments after January 1? Will the state stop paying prison guards in the new year? That seems unlikely—these payments have been going out already, even without a budget. Zeroing out the Public Employee Retirement Commission (PERC). This makes little sense—unless Wolf wants to prevent PERC from issuing analyses of pension legislation, which is a requirement for passing pension reform. Oh…I see what he did there. $69 million in line-item vetoes in the Department of Agriculture. $6 million in line-item vetoes and reductions in Community and Economic Development. This includes items the Commonwealth Foundation has identified as “corporate welfare”—we actually had more suggestions for line item vetoes here. $9 million in line-items vetoes from the Department of Health. A $31 million reduction for the Senate and $19 million reduction for the House of Representatives. I wonder who he is trying to punish with those vetoes? Wolf also vetoed $14 million from legislative support agencies. Gov. 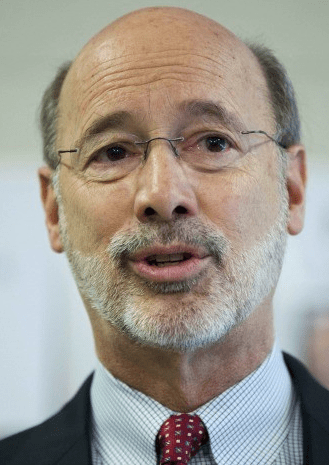 Wolf did well to release emergency funding for schools and nonprofits. But that’s something he should have done six months ago. Wolf’s own comment, “We’re now at a point where I don’t want to hold the children of PA hostage,” confirms this is exactly what he’s been doing by vetoing the entire budget in June and vetoing subsequent stop-gap measures. His signing of the budget today releases some of those hostages, for the time being at least. But his punitive vetoes show he’s not yet done playing political games. Mr. Benefield is vice president of Policy Analysis for the Commonwealth Foundation for Public Policy Alternatives. 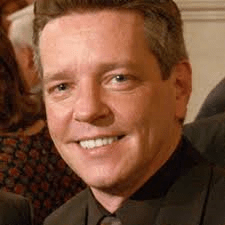 James Wigo Bonus At RTM — The Rose Tree Media School Board just voted to give Superintendent James Wigo a $6,667 performance bonus. Wigo’s base salary is $181,001 — at least as of 2013-14, the most recent record at OpenPaGov.org. Note that does not include benefits like health care or the obscene pension he can look forward to getting. So why does he need a performance bonus? Is his base compensation package really not enough to ensure top performance? In the private sector, bonuses are a way of divvying up profits hence they make sense there. They make no sense for non-profit like the Rose Tree Media School District. Wigo is more than — far more than actually — compensated with his base package. We are, in fact, quite confident RTM can find someone who would work just as hard and perform just as well if not better with half of Wigo’s compensation package. What the RTM Board did was not just pointless — Wigo would have quit if he didn’t get the bounus? LOL — but thoughtless considering Pennsylvania’s budget turmoil. Did you know that RTM gets about 15 percent of it’s $94.76 million budget from the state? Wigo should — no must — give this bonus back. It’s the only decent thing to do. It’s just a drop in the bucket to this very rich man and it would set an necessary example of leadership. Pa Senate Passes No Tax Hike Budget — Matt Brouilette of Commonwealth Foundation tweeted about an hour ago that the Pennsylvania Senate has overwhelmingly passed a $30.3 billion no-tax hike budget that could be on Gov. Wolf’s desk tonight (Dec. 23). The bill was HB 1460 which was passed by the House on Dec. 8 and and was prime sponsored by Springfield’s Bill Adolph (R-165) . Today’s Senate vote was 33-17. Of course, if he did this back in June when the legislature passed its initial budget it would have saved a lot of aggravation for a lot of people. Budget Deal Killed Again — The Pennsylvania House has adjourned without a final vote on the 2015 budget. Yesterday, Dec. 22, the House voted 100-99 to approve the $30.8 billion spending plan the state Senate passed earlier this month. The approval, however, did not include the extremely mild pension reform demanded by the Senate. The Senate, to its credit, said that reform is a must. So, the House adjourned without a vote. House Majority Leader Dave Reed (R-62) said the House could be called back into session with six hours notice. Please understand, it is entirely within Gov. Wolf’s power to end the crisis. The legislature passed a budget on deadline in June which did not increase taxes which Wolf vetoed. The legislature has also offered stopgap spending bills, one which Wolf vetoed and the others which he promised to. Greased Palms Caused Vote Switch Says Senator — Once again it appears that a victory for working families has been snatched away by the special interests. The Pennsylvania House, today, Dec.22, voted 100-99 to reconsider the state budget the Senate passed earlier this month and which appeared dead after the House rejected, Saturday, a pension reform plan that was part of the deal. All Democrats voted for the budget along with 17 Republicans including Steve Barrar (160), Nick Miccarelli (162) and Jamie Santora (163) whose districts include Delaware County. The budget will require a significant tax hike to balance. It appears eerily similar to what happened in 2013 when the House appeared to have stopped the Corbett gas tax only to cave the next day. Sen. Scott Wagner baldly says the GOP reps got their “palms greased”. It also should be noted that it appears several Democrat reps cast yea votes despite not being physically present. He also says the mild pension reform that was the subject of Saturday’s fuss is not now included in the deal. The purpose of my email is to report that the PA House of Representatives cast several votes today to advance the stalled PA Budget. The votes cast today set the stage for a budget vote tomorrow in the House for a budget of $30.788 Billion Dollars for 2015-16 year, an increase of $1.597 Billion Dollars over the 2014-15 budget of $29.191 Billion Dollars. If the House votes the $30.788 Billion Dollar budget tomorrow for 2015-16 here is the best part – the House and Senate will have to consider a tax increase vote in early January. You can’t make this stuff up – vote for a spending plan without knowing how you are going to pay for it !! How else do I say this? Corruption is alive and well in Harrisburg. Today I sat in the House of Representatives gallery and watched the House in action. What is puzzling to me is that PA House Democrat Member Leslie Acosta who represents Philadelphia County was absent from the House chamber and is allegedly in Nicaragua – but she voted “yes” on a motion to revert to a prior printer bill at 1:04 PM today. Another House Member Democrat Peter Daley from Washington County was also absent from the floor but voted “yes” on the same motion to revert to a prior printer number – his vote was also at 1:04PM. Republican House Member Daryl Metcalfe questioned accountability and procedure on whether a member had to be present to vote. On a final vote cast at 4:03PM Representatives Acosta and Daley were listed as absent. Something smells like rotten fish – the best part was that I was sitting in the House Gallery watching the action go down. I estimate that tomorrow approximately seventeen Republicans will vote for the increased budget along with the Democrats – how is this happening? Here is the answer – House Democrats and the Governor’s office are promising special project money for the districts of the Republicans voting “yes” for the budget. It was pointed out to me that one Republican House member is receiving several million dollars in special project money for his “yes” vote – these type of deals are taking place in Harrisburg. So it is safe to assume that other Republicans are getting their palms greased for their “yes” votes. In my private sector business world if I paid a municipal official to influence their vote for a waste contract with my company would I be breaking any laws? And by the way, the pension reform bill the PA State Senate sent over to the House was voted down this past Saturday – so here it is – No Pension Reform – and the best part – Holiday Tax increases for everyone. In closing, tomorrow will be very interesting to watch how the House members vote on the budget – keep in mind some type of tax increases are coming down the road for Pennsylvanians. I will do an email blast tomorrow with an update. Russ Diamond Christmas Truce — Pennsylvania State Rep. Russ Diamond (R-102) has penned this open letter to Gov. Tom Wolf regarding the budget impasse. It is worth passing on to all, especially one’s legislators, political leaders and media sources. Pennsylvanians get it. We don’t see eye to eye. There’s a huge gap between our differing opinions on the Commonwealth’s future. We will likely continue this argument, in one form or another, for another three years. That said, real people are depending on us. Folks who work hard to educate our children. Counties that provide critical services to the most vulnerable. Victims of domestic violence who have nowhere else to turn. The list goes on and on. For their sake, let’s call a Christmas truce. The House of Representatives is putting together a plan to allow them to keep functioning. It is NOT a budget. It is NOT a permanent solution. It is merely an offer to keep the lights on until such time as we can resolve our differences. You don’t have to sign it, but you don’t have to veto it either. You can just let it sit on your desk for ten days and let it happen. It will not represent a political victory for either one of us. It’s been nearly six months. We’ve been collecting taxes all along, and there’s federal money sitting around just waiting for us to act. It belongs to neither one of us. It should be used for its intended purposes. The previously agreed to budget ‘framework’ has fallen apart. The votes to support the revenues required to pay for it simply don’t exist. Finger pointing and the blame game will not do anyone any good. Look, we’re both new at this. As one freshman to another, I implore you to do the right thing. Not for you, not for me, but for the people of Pennsylvania who depend on us the most. It’s the least we can do. We can come back next year to argue and fight. But right now, we can do something responsible to prevent a calamity of epic proportions. It’s Christmas, sir. Please join me in declaring a temporary truce. Pension Deal Fails — Pennlive.com has reported that a pension reform plan that was integral part of a deal for Pennsylvania to finally pass a budget Gov. Wolf would be willing to sign has failed. The vote in the Pennsylvania House was 149-52 against. The Senate was demanding the reform to agree to significant tax hikes sought by Wolf. The state’s pension system is horribly underfunded and the reform sought — moving FUTURE state government and school employees into a pension system that combined a down-sized guaranteed benefit plan with a 401(k)-style plan — was extremely mild but still a necessary step in the right direction. The legislature passed a budget in June which was vetoed by Wolf. Wolf also vetoed a stopgap budget in September. The man is an epitome of ego-driven irresponsibility.